Humans are messy. And where there are lots of humans, there’s lots of trash. 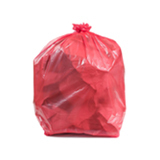 Conveniently placed trash cans are the best way to keep your business neat and tidy even when faced with a crowd, but keeping those garbage cans empty means going through a lot of garbage bags. 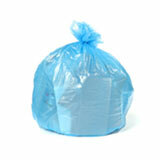 We offer great prices on wholesale garbage bags. 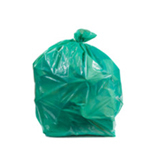 Whether you need garbage bags for a mall, a park, or a lobby, our bags for high traffic areas have you covered. 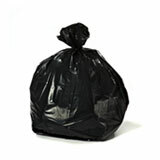 We’re pretty passionate about garbage bags (someone has to be!) and we know that there’s a perfect trash bag for every trash can. 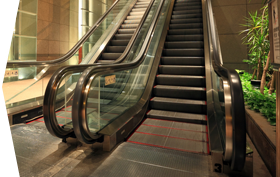 Avoiding messy spills and leaks is always a priority, but it’s even more important in areas that see a lot of traffic. You need trash can liners that fit correctly, are made out the right material, and are suitably thick for the kind of use they’re going to see. In a public area you also want the bag to be as attractive as possible. 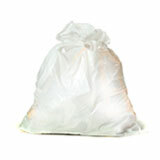 White garbage bags give a wonderfully pristine impression, while black garbage look sharp against stainless steel. 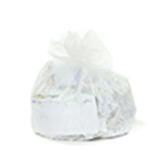 Clear trash bags let you see what’s being thrown away, and blue recycling trash bags give everyone a reminder to think about the environment. 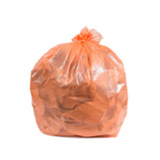 If you think the bag is going to regularly meet with sharp or rough garbage, you’ll want heavy duty garbage bags made of low density plastic with a high mil count. 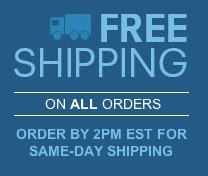 If you’re mostly seeing paper, wrappers and the like, you can go with a more lightweight high density bag. 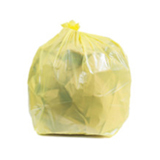 Bulk can liners are an excellent solution for high traffic areas, letting you save money no matter how often the bag needs to be changed. 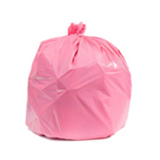 All the wholesale trash bags we offer are covered by our 100% satisfaction guarantee, so you can buy with total confidence.